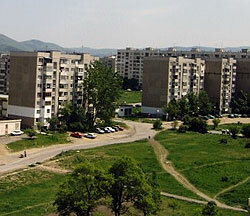 Mladost is Sofia’s the second most populated municipality. A lot of new developments are being built here, so Mladost is fast becoming one of Sofia’s most modern municipalities as well. One key investment hub is the Sofia Business Park. Mladost is also home to several of Bulgaria’s most important scientific institutes. There are 16 schools and a number of kindergartens in the area. The roads are in very good condition and there’s good public transport.